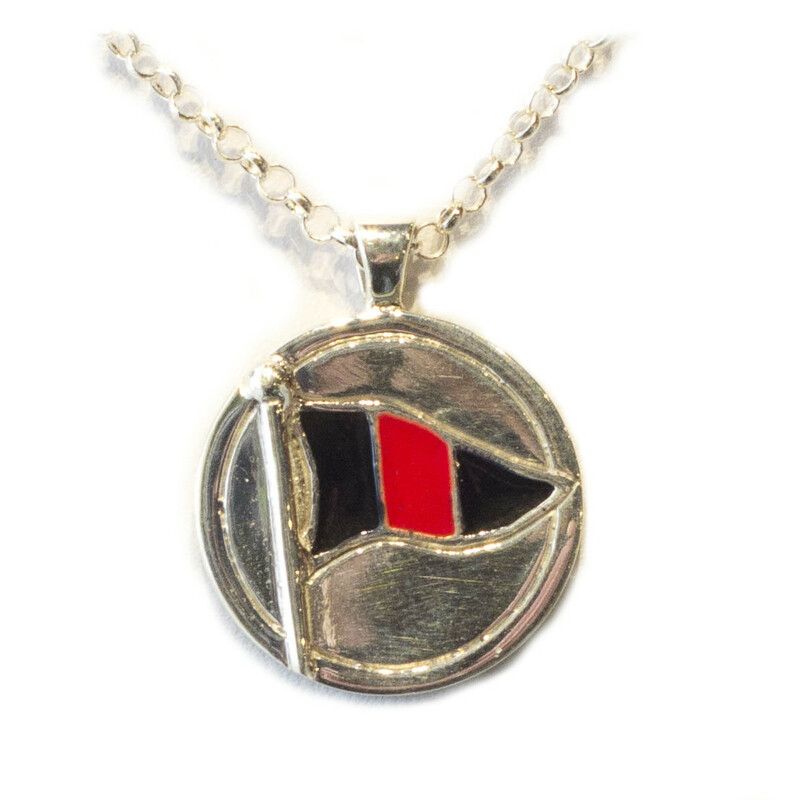 We are pleased to announce through the combined efforts of Jerry and Cathy Millsap, and your Commodore, the availability of custom designed LGYC jewelry featuring our burgee. We have partnered with the highly regarded Fontana Jewelers, located at 533 Hwy 67, for the production and sale of these tasteful pieces. We are offering two choices: a lapel pin or a pendant. 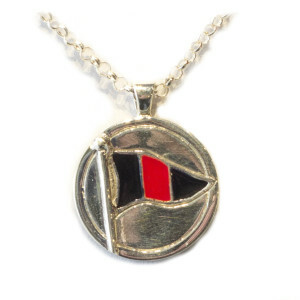 Both of these designs are sterling silver with a hand enameled burgee. The lapel pin and the pendant sell for $100.00 each. Fontana Jewelers has a wide selection of chains available to compliment the pendant. These burgees are a great way to show your support for our club and spread the word. Hurry and call Eric today as these items will no doubt be the new fashion trend on Geneva Lake in 2013!